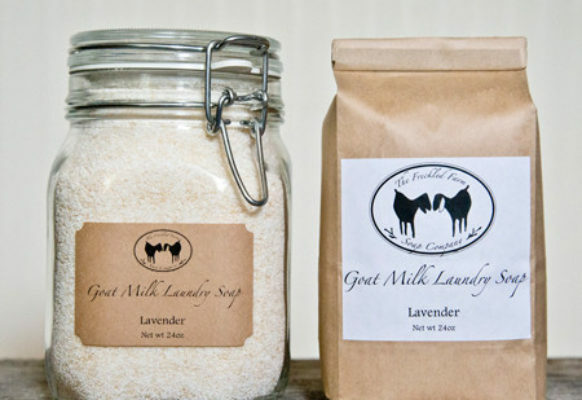 Next up, we would like to introduce Crystal and Kevin Neilson-Hall of The Freckled Farm Soap Company. We spent a very long time perfecting our soap recipe before we started offering it to the public. 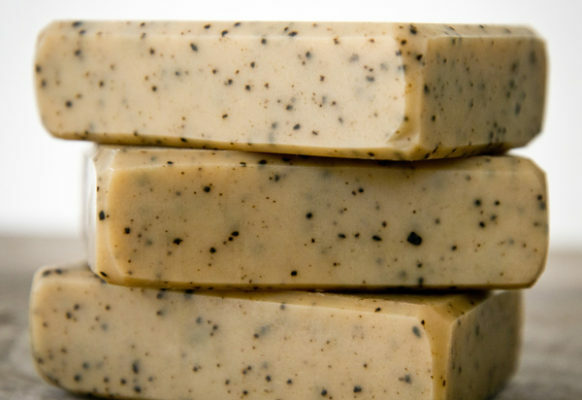 Each oil has a different property within the soap, so we spent a great deal of time making small adjustments to our recipe in order to get the soap exactly how we wanted it! Also our milk comes from very spoiled happy goats… I feel like that makes a big difference! We have been in business for 2 years, but have making soap for much longer. We are at several farmers markets around Central VA including South of the James and the West End Farmers Market on Saturdays. 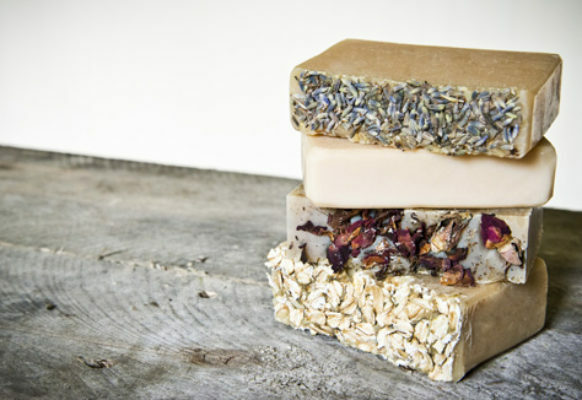 We are in a number of stores throughout Virginia and our soaps are available for purchase on our website. Here is a list of all the places you can find our soap for sale. On our farm we have a large shed that already had electricity and AC when we bought the property. We have since conditioned it and turned it into two rooms, our milking room and soap room. It’s nice to have all the soap and soap-making materials in one space. My favorite thing about the soap room… Living on a farm with two young children it probably the quietest place on the farm! I wanted goats my whole life, but I never thought I would end up with a whole working goat farm. It’s a dream that Kevin and I built together overtime, starting with the idea of having a few goats as pets and growing into the desire for a full self-sustaining farm. We are still working on becoming self-sustaining, but we get closer every year. This farm, our soap company, and our photography company allow us independence so we can work from home and be together as a family. To be able to spend every day with our children and make our own schedule to me is priceless! We love being able to offer our customers a product that is better for them and the environment than our commercial competitors. I also love being able to interact with our customers one and one and getting to known them. I would say one of the hardest things about being a maker is dealing with on and off seasons… It’s always feast or famine. Favorite handmade gift you’ve ever been given and/or best handmade thing you’ve ever bought? For our wedding we were given a beautiful handmade quilt. I grew up using a quilt that once belonged to my great grandmother, so being given something that I could pass down to my children or grandchildren was very meaningful to me. Crystal: Beaker! I was such a science nerd as a child. He was always my favorite.